If you have a vegetable garden, flower beds or just want your yard to look its best, you have a need for bulk landscaping materials like mulch, gravel and topsoil. While you could go to a nearby big box home improvement or gardening store and purchase these products yourself, there is another solution—at home delivery. Discover why it only makes sense to have your landscaping supplies delivered directly to your home. 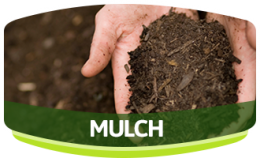 As mentioned before, many big box stores sell mulch and related products. However, how much can you carry in your car? Even if you have a truck or large SUV, there is a limit to what you can carry, plus the process of loading and unloading your vehicle can be quite time consuming. Direct delivery to your home saves time. Plus, when you think about taking extra trips and the cost to clean your vehicle after hauling messy material, you may save money too. Another consideration is the safe delivery of your bulk landscape products. What happens if you have a bag break when you bring it home yourself? You are left with a mess and are short one bag of material. If you have the products delivered, you will rest assured that the material arrives safely and that you always have exactly what you need to help keep your yard looking its best. 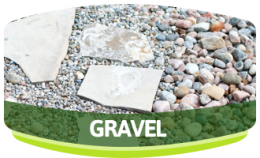 If you are looking for delivery of bulk landscaping materials in or around Northeast Ohio, you want to find a great value and excellent customer service. 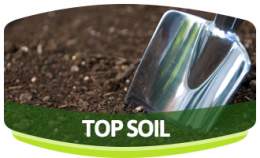 Savarino Brothers offers convenient options including gravel, mulch and topsoil delivery. Contact us today to set up a delivery plan that will allow you to have access to all the bulk landscaping materials you need at a time that is convenient to you!